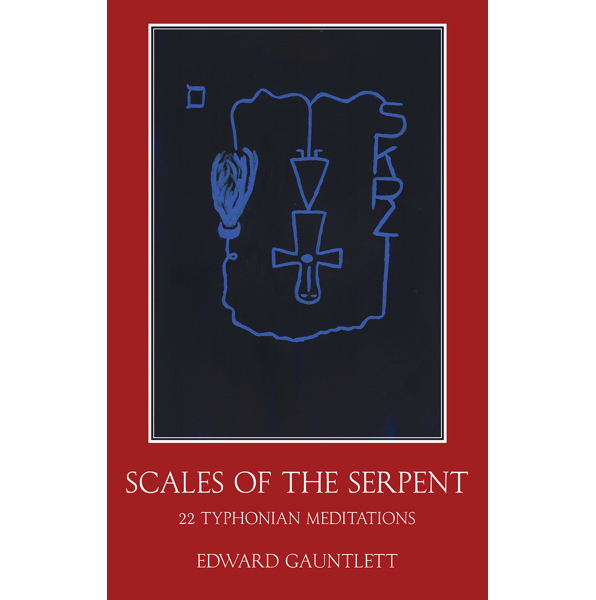 Scales of the Serpent draws its primary inspiration from Kenneth Grant’s Nightside of Eden and the exploration of those realms analogous to what Michael Bertiaux refers to as Universe B.
book comprises the sigils of the cells of the qliphoth from Liber CCXXXI (with commentary) presented in a form intended to facilitate meditation and visionary work in accessing the back of the Tree of Life, the nightside, which prior to Grant’s work had been ignored or denied. 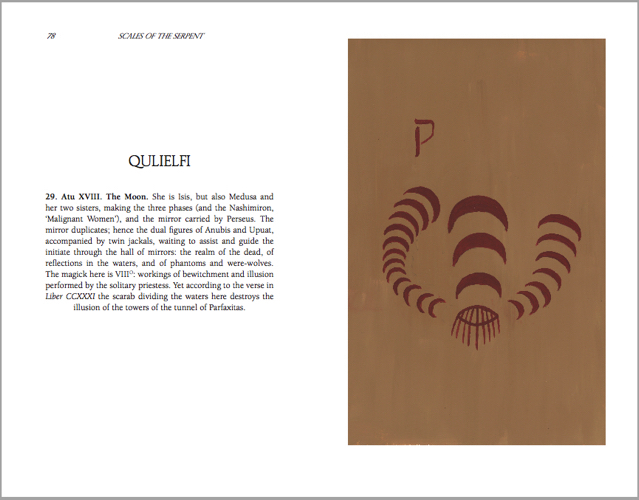 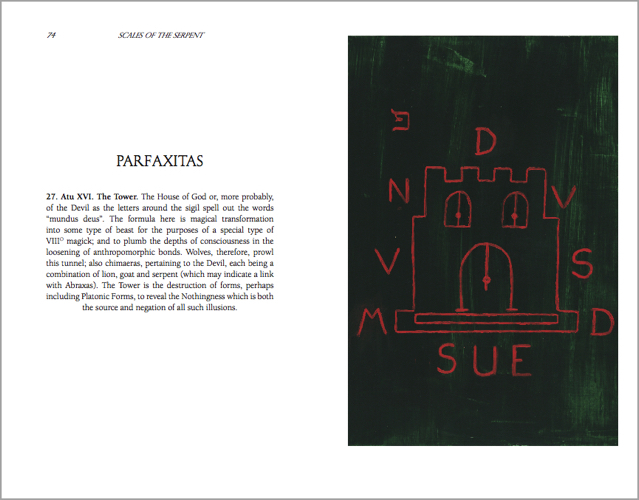 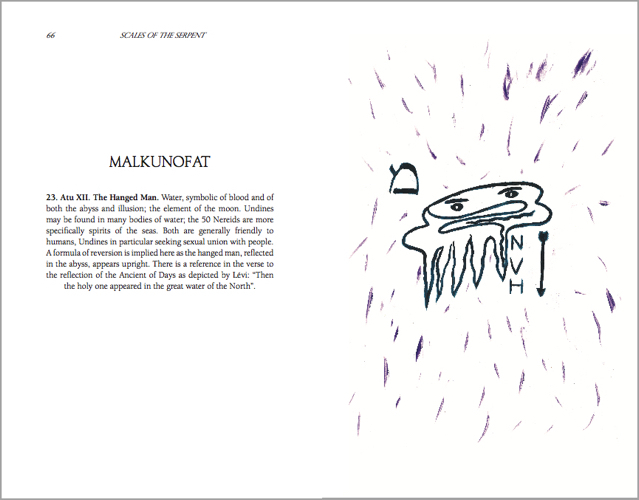 A separate and substantial text explores threads leading towards the void which is the gateway to the reverse of the Tree, that noumenal nothing of which the phenomenal something is but the illusory reversed reflection, and gives some indications as to the methods employed and routes taken by earlier explorers, intentionally or otherwise. 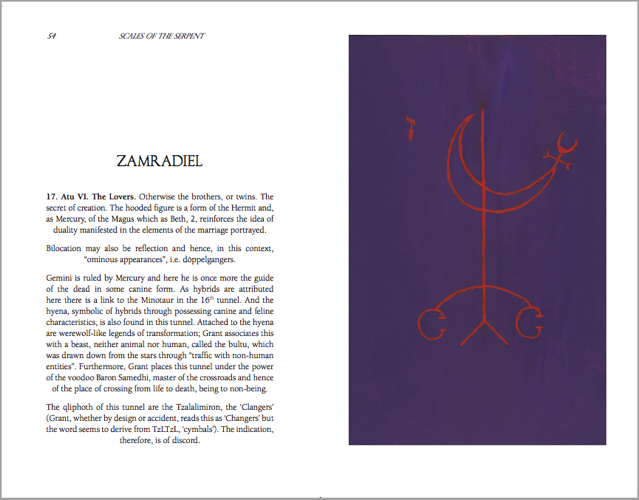 These particular threads have been picked up and followed as a result of the author’s workings within the Ordo Typhonis and, more specifically, within the Lamal Lodge.